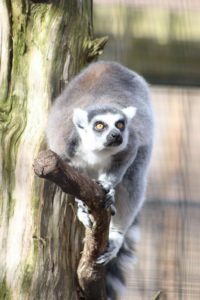 There is a long-term risk of extinction due to habitat loss from burning, overgrazing, and wood harvesting. 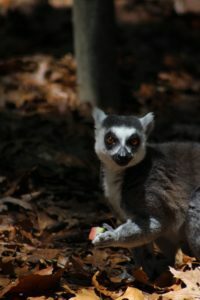 In some areas they are hunted for food or captured as pets. 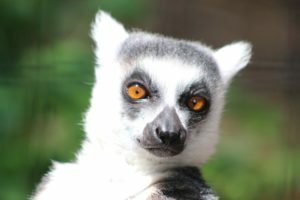 International trade in this animal is banned; however, it still occurs illegally. 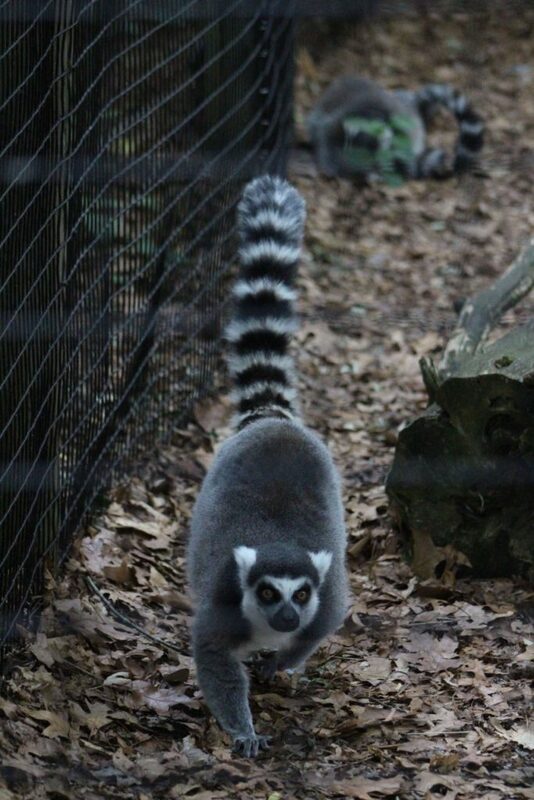 This species of lemur has an extremely distinctive tail with black and white alternating rings. 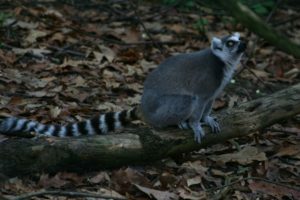 The back is a greyish-brown while the rump and limbs are grey. 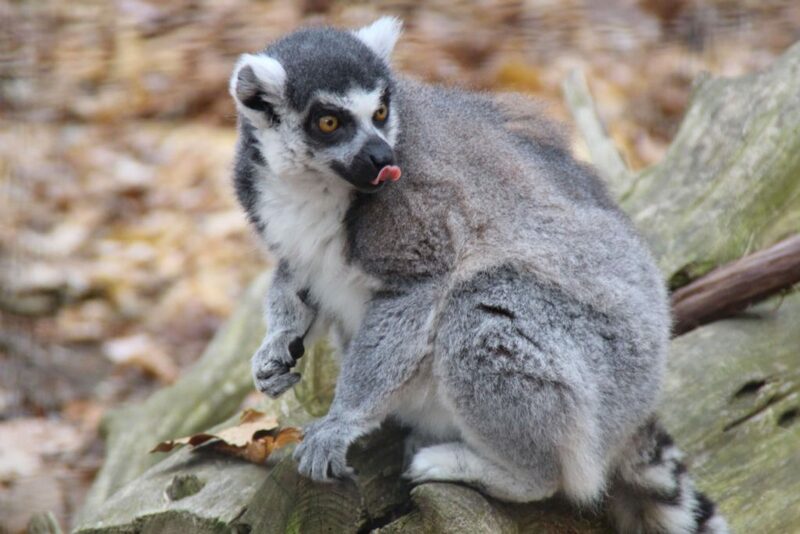 The ring-tailed lemur has a white face with triangular black patches around the eyes, a dark nose, and feet. The tail is longer than the head and body. 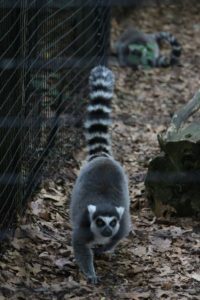 95-110 cm in total length including tail. 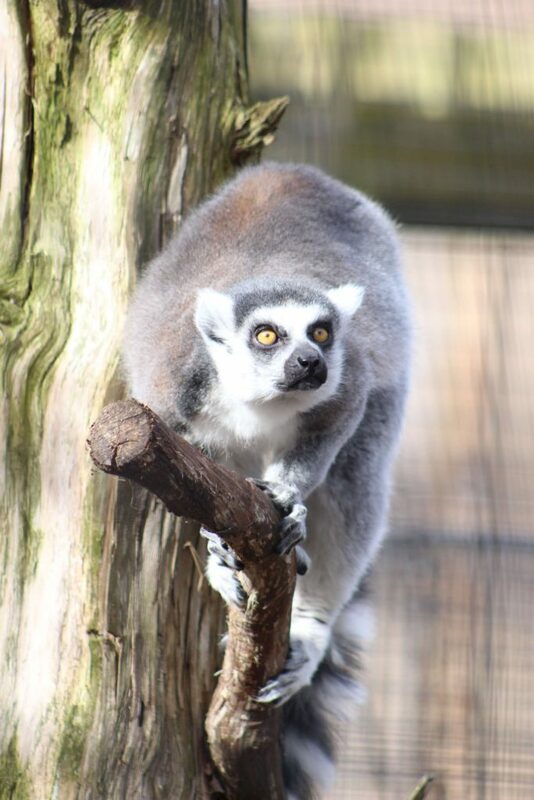 They have a broader range of habitat than other lemurs because they can tolerate hot, dry, and cold environments. 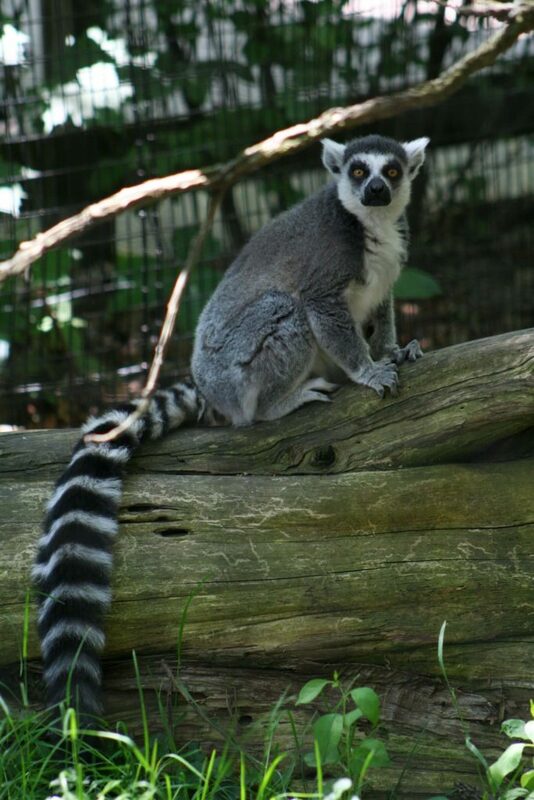 The ring-tailed Lemur is found in spiny forests, dry scrub, dry deciduous forest, and rock canyons. 130-144 days, so the young are born in September. This is beneficial because the young will be weaned just as food is plentiful. Occasionally 2, but usually 1 offspring. 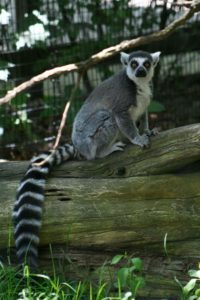 2.5-3 years old, at which point the males will leave the group while the females stay. 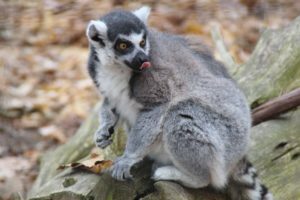 The ring-tailed lemur is an omnivore that eats fruit, leaves, flowers, bark, sap, insects, and sometimes small vertebrates. They may consume soil to increase their sodium intake. 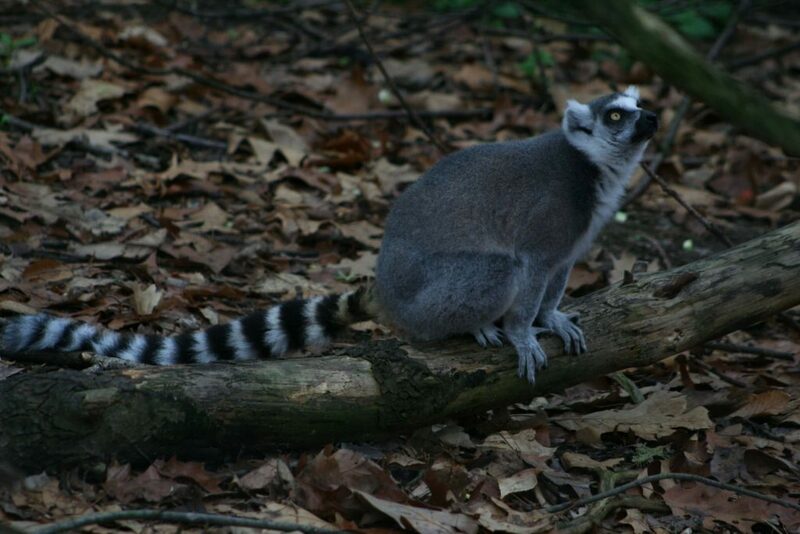 They are diurnal and spend most of the time on the ground, although they are agile in trees as well. 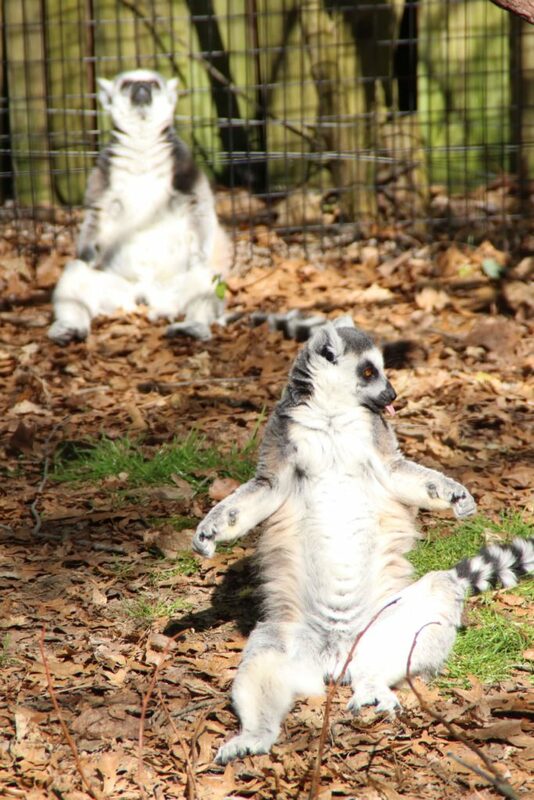 They sun themselves by sitting up and spreading out their limbs to expose their bellies to the sun. They sleep with their tails curled up over their backs. They are the most social of the lemurs in Madagascar and will contain groups of up to 25 individuals. They will defend their territories from other groups. 1. 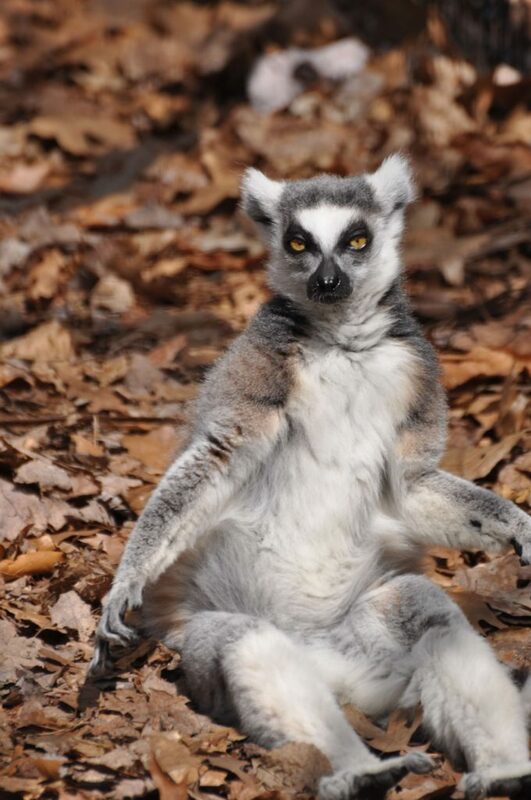 The ring-tailed lemur spends more time on the ground than any other lemur. 2. 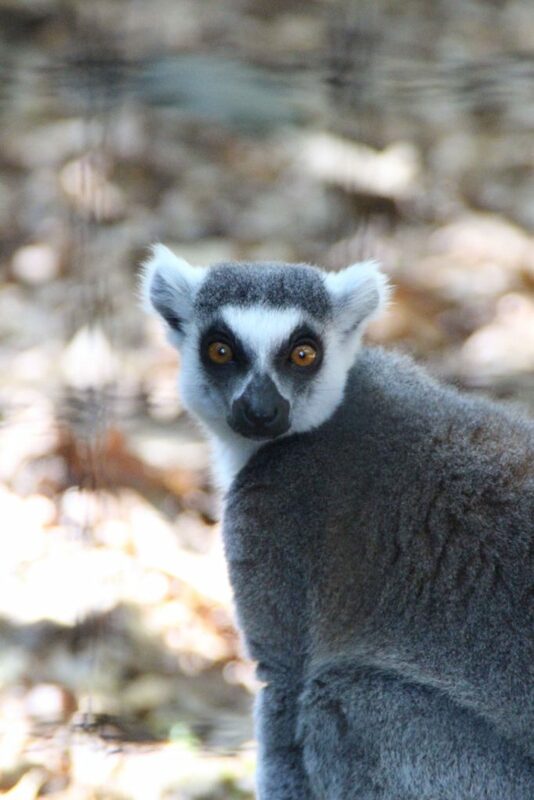 “Lemur” means ‘ghost’ or ‘spirit’ in Latin, and “catta” refers to its catlike form. 3. 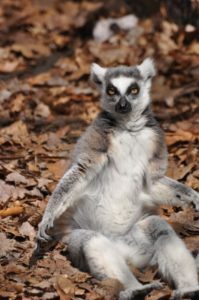 The ring-tailed Lemur is the only species in its genus. 4. 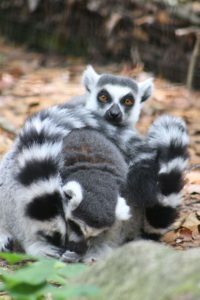 In a group, females are dominant over males and the ratio of males to females is 50/50. 5. 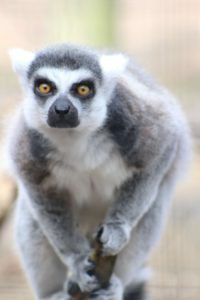 They will scent mark: females by using genital smears, and males using scent from a wrist gland. 6. Males establish dominance in ‘stink fights’, where they use the scent glands on their wrists, rub it on their tails, then waft the scent toward other males.